Old Navy Swimwear Sale! 50% off Swim for the Family Today Only! Home / Online Deals / Online Deals / Clothing Deals / Old Navy Swimwear Sale! 50% off Today Only! Old Navy Swimwear Sale! 50% off Today Only! If you are looking for some new shorts for Summer, hurry and get Old Navy Swimwear Sale for HALF OFF today only, 4/15! RELATED: Don’t Miss the Old Navy Flip Flop Sale – We’ve got all the details! I see Girls’ Swimsuits for as low as just $12.50, and I would shop early on those because sizes are going fast! Get Boys Swim Trunks down to just $10 in lots of different colors and a few styles to choose from. The same price applies to Men’s Swim Trunks, too-just $10! If you need to grab a swimsuit for yourself, there are Women’s Swim Separates for $12.50 and One-Pieces for $20! Remember, this is a Today Only deals so check out the rest of the Old Navy Swimwear Sale here! Old Navy® is the registered trademark of Old Navy, LLC. Tree Saucer Swing only $49.99! Kids Rain Boots On Sale! Just $9.99 Today Only! Best Deals on Honest Company Diapers | Buy 1, Get 1 Free = $5.71 Per Package!!! 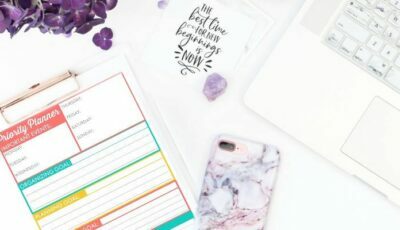 FREE Printable Priority Planning Worksheet For Organizing Your Life! WOW!!! Get 17 In Store Freebies This Week! The Children’s Place Sales! Up to 60% off! CVS Ad Preview & Shopping List for 04/28/19! Best Deals on Birkenstocks! Women’s only $59.97! Best CHI Deals! Hair Dryer & Flat Iron Set just $58.99! Justice For Girls Coupons & Sales! Dresses & Rompers B1G1 for $10! The Best Deals at Target! 10 Items are Less Than $1 Through 04/27! Dayspring Coupons & Sales! 50% Off Baby Gifts! Old Navy Jeans For the Family As Low As $4.99 Today Only! Free L’Oreal Samples! Sublime Bronze Self Tanning Towelettes!